The Custodian of Records is responsible for the dissemination of records outside the agency within the guidelines set forth by the Missouri Sunshine Law. Pursuant to 610.023, the Sheriff has appointed Captain Kevin Tieman to serve as the Custodian of Records on behalf of this office. The public can consult the Custodian of Records concerning requests that are not routine or for records that reason dictates should be closed to public access. 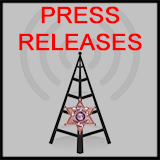 The Custodian of Records will handle all requests for Sheriff's Office records that are not routinely processed by a component of this office and will make reasonable efforts to ensure adherence to all applicable statutes, regulations and policies regarding dissemination of records. 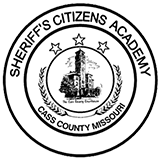 To request open or closed records from the Cass County Sheriff's Office, submit your written request, on the provided form, to the below address, or by email to paula.mathes@cassmosheriff.org. Each written request for access to public records will be acted upon as soon as possible but in no event later than the end of the third business day following the date the request is received. The period for document production may exceed three days for reasonable cause. With a delayed occurrence, the Custodian of Records will give a detailed explanation of the cause for the delay and provide the place and the earliest time and date that the record will be available. When a request is denied for any reason, the Custodian of Records will provide a written statement giving the grounds for the denial. The written statement will be furnished to the requester no later than the end of the third business day following the date that the request for records is received, and the statement will cite the specific provision of law supporting the denial. Records of governmental bodies to be in care of custodian, duties--records may be copied but not removed, exception, procedure--denial of access, procedure. Each public governmental body is to appoint a custodian who is to be responsible for the maintenance of that body's records. The identity and location of a public governmental body's custodian is to be made available upon request. Each public governmental body shall make available for inspection and copying by the public of that body's public records. No person shall remove original public records from the office of a public governmental body or its custodian without written permission of the designated custodian. No public governmental body shall, after August 28, 1998, grant to any person or entity, whether by contract, license or otherwise, the exclusive right to access and disseminate any public record unless the granting of such right is necessary to facilitate coordination with, or uniformity among, industry regulators having similar authority. Each request for access to a public record shall be acted upon as soon as possible, but in no event later than the end of the third business day following the date the request is received by the custodian of records of a public governmental body. If records are requested in a certain format, the public body shall provide the records in the requested format, if such format is available. If access to the public record is not granted immediately, the custodian shall give a detailed explanation of the cause for further delay and the place and earliest time and date that the record will be available for inspection. This period for document production may exceed three days for reasonable cause. If a request for access is denied, the custodian shall provide, upon request, a written statement of the grounds for such denial. Such statement shall cite the specific provision of law under which access is denied and shall be furnished to the requester no later than the end of the third business day following the date that the request for the statement is received. There are special laws and rules that govern access to law enforcement and judicial records. 610.100. Definitions -- arrest and incident records shall be available to public -- closed records, when -- record redacted, when -- access to incident reports, record redacted, when -- action for disclosure of investigative report authorized, costs -- application to open incident and arrest reports, civil penalty -- identity of victim of sexual offense. "Investigative report", a record, other than an arrest or incident report, prepared by personnel of a law enforcement agency, inquiring into a crime or suspected crime, either in response to an incident report or in response to evidence developed by law enforcement officers in the course of their duties. 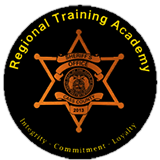 Each law enforcement agency of this state, of any county, and of any municipality, shall maintain records of all incidents reported to the agency, investigations and arrests made by such law enforcement agency. All incident reports and arrest reports shall be open records. Notwithstanding any other provision of law other than the provisions of subsections 4, 5 and 6 of this section or section 320.083, RSMo, investigative reports of all law enforcement agencies are closed records until the investigation becomes inactive. If any person is arrested and not charged with an offense against the law within thirty days of the person's arrest, the arrest report shall thereafter be a closed record except that the disposition portion of the record may be accessed and except as provided in section 610.120. Except as provided in subsections 4, 5, 6 and 7 of this section, if any portion of a record or document of a law enforcement officer or agency, other than an arrest report, which would otherwise be open, contains information that is reasonably likely to pose a clear and present danger to the safety of any victim, witness, undercover officer, or other person; or jeopardize a criminal investigation, including records which would disclose the identity of a source wishing to remain confidential or a suspect not in custody; or which would disclose techniques, procedures or guidelines for law enforcement investigations or prosecutions, that portion of the record shall be closed and shall be redacted from any record made available pursuant to this chapter. Any person, including a family member of such person within the first degree of consanguinity if such person is deceased or incompetent, attorney for a person, or insurer of a person involved in any incident or whose property is involved in an incident, may obtain any records closed pursuant to this section or section 610.150 for purposes of investigation of any civil claim or defense, as provided by this subsection. Any individual, his or her family member within the first degree of consanguinity if such individual is deceased or incompetent, his or her attorney or insurer, involved in an incident or whose property is involved in an incident, upon written request, may obtain a complete unaltered and unedited incident report concerning the incident, and may obtain access to other records closed by a law enforcement agency pursuant to this section. Within thirty days of such request, the agency shall provide the requested material or file a motion pursuant to this subsection with the circuit court having jurisdiction over the law enforcement agency stating that the safety of the victim, witness or other individual cannot be reasonably ensured, or that a criminal investigation is likely to be jeopardized. If, based on such motion, the court finds for the law enforcement agency, the court shall either order the record closed or order such portion of the record that should be closed to be redacted from any record made available pursuant to this subsection. Any person may bring an action pursuant to this section in the circuit court having jurisdiction to authorize disclosure of the information contained in an investigative report of any law enforcement agency, which would otherwise be closed pursuant to this section. The court may order that all or part of the information contained in an investigative report be released to the person bringing the action. In making the determination as to whether information contained in an investigative report shall be disclosed, the court shall consider whether the benefit to the person bringing the action or to the public outweighs any harm to the public, to the law enforcement agency or any of its officers, or to any person identified in the investigative report in regard to the need for law enforcement agencies to effectively investigate and prosecute criminal activity. The investigative report in question may be examined by the court in camera. The court may find that the party seeking disclosure of the investigative report shall bear the reasonable and necessary costs and attorneys' fees of both parties, unless the court finds that the decision of the law enforcement agency not to open the investigative report was substantially unjustified under all relevant circumstances, and in that event, the court may assess such reasonable and necessary costs and attorneys' fees to the law enforcement agency. Any person may apply pursuant to this subsection to the circuit court having jurisdiction for an order requiring a law enforcement agency to open incident reports and arrest reports being unlawfully closed pursuant to this section. If the court finds by a preponderance of the evidence that the law enforcement officer or agency has knowingly violated this section, the officer or agency shall be subject to a civil penalty in an amount up to one thousand dollars. If the court finds that there is a knowing violation of this section, the court may order payment by such officer or agency of all costs and attorneys' fees, as provided by section 610.027. If the court finds by a preponderance of the evidence that the law enforcement officer or agency has purposely violated this section, the officer or agency shall be subject to a civil penalty in an amount up to five thousand dollars and the court shall order payment by such officer or agency of all costs and attorney fees, as provided in section 610.027. The court shall determine the amount of the penalty by taking into account the size of the jurisdiction, the seriousness of the offense, and whether the law enforcement officer or agency has violated this section previously. The victim of an offense as provided in chapter 566, RSMo, may request that his or her identity be kept confidential until a charge relating to such incident is filed. 610.150. "911" telephone reports inaccessible, exceptions. Except as provided by this section, any information acquired by a law enforcement agency by way of a complaint or report of a crime made by telephone contact using the emergency number, "911", shall be inaccessible to the general public. However, information consisting of the date, time, specific location and immediate facts and circumstances surrounding the initial report of the crime or incident shall be considered to be an incident report and subject to section 610.100. Any closed records pursuant to this section shall be available upon request by law enforcement agencies or the division of workers' compensation or pursuant to a valid court order authorizing disclosure upon motion and good cause shown. 610.200. Law enforcement agency log or record available for inspection and copying - limitation. 4. (d) A general description of any injuries, property or weapons involved. To view the records fee schedule, CLICK HERE. To obtain a records request form, CLICK HERE. To read about the A.G. & Sunshine Law", CLICK HERE.